Belize is a Central American country known for its English speaking ability, and robust offshore environment. Belize is very well accustomed to setting up offshore companies and trusts, and you are in good hands to start a business in Belize. Fast Incorporation: Belize has a very quick incorporation process, in fact, probably the fastest IBC Registry in the world, your offshore international business company can be done in a few hours. No Tax in Belize: Under the Article 130 of the Belize IBC Act, Belize IBC’s pay NO TAX in Belize, with only a few simple pre-conditions – including that no business is done IN Belize. No Reporting Requirements: Belize IBC and LLCs do not face any reporting for local government. Legal: A Belize IBC is for all legal purposes a separate legal person, which has the name commercial rights and powers as a natural person. It can take on debts, start a bank account, hold assets, etc. 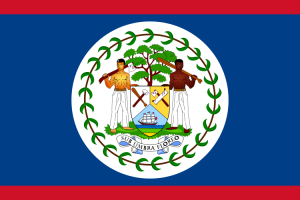 Private: Belize will not disclose its banking or fiscal information. Client confidentiality is an important asset in the Belize corporate and business legislation. They have a history of non-compliance, placing their client’s interests first. Secure: When considering the privacy of information exchange with foreign governments (including US), Belize is probably the leader in a confidential offshore jurisdiction. Convenient: Belize has English as its official language, and is a common law country. 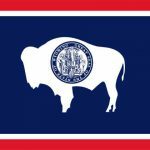 LLC’s: Belize LLC’s were recently passed into law. LLC’s are similar to IBC’s except they have membership interest, rather than shareholder stock. Move forward and incorporate an Offshore Belize Company. Complete private incorporation. Your Belize IBC or Belize LLC is anonymous and private. We will submit proper documents with the Company preferred name. Additionally, details of the beneficial directors and shareholders must be included such as nationality, country of residence, address, and profession. Other details, such as a professional recommendation or reference are also required. required. This is usually a utility bill, telephone bill, or credit card bill, which is dated within the last three months. accountant or similar profession. Preferably a lawyer or an accountant or similar person reference setting out the duration of your relationship (good, but not required to be least 2 years) and that in the case of a bank reference, you have operated your account satisfactorily otherwise that you are of good character and reputation. We handle the rest, and mail the corporate kit to you. At this point, you can form a bank using either our network, or your own banking connection. If you have any questions, contact us at any time, or keep reading. Some of the most questions I receive are answered below, which includes questions about banking in Belize. What do I need to set up the bank account? You need company documents which are provided to you after the incorporation process. They will be automatically forwarded to the bank on your behalf. You’ll also need an original, Completed Due Diligence Questionnaire, Certified Passport Copy of all Directors, Once you decide to choose your bank we will provide you with documents which need to be filled out. Open a Belize offshore bank account filling this form. Is my registration of the company private? Yes, there is no way that another person or government can search for your entity. Is there any tax on my company? Not in Belize, operating as an IBC – you are exempt from any taxes. Is there any way someone could fake a passport and withdraw funds? Absolutely not. Your passport must be notarized, and your identity confirmed by a licensed and bonded lawyer. The director is not an owner of a company, the shareholders own a company. A nominee director does not need to be given ANY power, and will NOT be granted any power unless specifically authorized by the shareholders. All the signatures of the shareholders are needed to open a bank account. No funds can be added or taken out without the consent of ALL shareholders, or in other words, the signatory on the account. Unless you are a signatory on the account (which the nominee director cannot do) then you cannot access the account, and the bank will not even talk to you. In essence, you need the signature of ALL of the shareholders to alter the account, or to create the power for one person to alter the account. You can withdraw funds from a bank account by using a company debit card, or you can wire transfer funds to another account. Is there a limit to how much I can withdraw at any time? Only at the individual ATM. You could always visit another ATM later and make another withdrawal. Can my funds be frozen or seized by my government? No. Banks in Belize operate under Belize authority. Belize company law has specific provisions to ignore any proceeding in any court outside of Belize. Belize is continually impressive as they seek to improve the governance of their offshore jurisdiction. They aren’t a tiny island- they are a country in central America facing the Atlantic – if you didn’t know. Well for one, their regulatory body – the International Financial Services Commission of Belize is fairly responsive. They get filings done in less than 24 hours. Belize also offers an LLC – a hybrid legal entity that combines a corporation and a partnership They are also progressive, as evidenced by the recent adoption of LLC business entity. They are also intelligent – using statute from both Nevis LLC act of 2005 and the cook islands LLC act of 2008. This is fairly commonplace for International financial centers – to simply adopt and modify the existing laws in established jurisdictions, particularly interesting is when they copy the act verbatim, and forget to take out the typos. Belize already has a legal entity- the IBC. 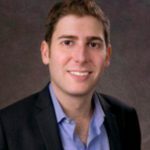 So why the reason for offering an LLC? It will act as an ideal tax planning and asset protection tool and would be a useful addition to Belize’s offshore industry infrastructure. More than anything, its to compete with other jurisdictions such as Nevis and the Cook Islands, which offer LLC’s. Truly, there isn’t much a difference. However, LLC’s have member ownership and are controlled by manager(s). A minor distinction. Either can be used for a variety of different purposes, and both are very flexible asset protection and wealth management planning tools. The Act provides a broad foundation to structure an LLC according to its own rules, rather than being dictated by statute. The operating agreement may contain any provision for the conduct of business that is not contrary to law and relates to the business of the company and the conduct of its affairs. What this means is that Belize LLC’s are dictated by the operating agreement, first and foremost. This is a key feature of the law that makes any legal entity much stronger. Essentially, this provides for even stronger asset protection, because you can include strong and protective legal language. For instance, you could prevent the LLC from making distributions creditors in the event of a charging order. Let’s talk about lawsuits. Asset protection is obviously a major benefit of incorporating offshore, or in a jurisdiction that is more difficult or expensive for creditors to reach. The reason being, if its harder to sue, more expensive, and farther away, the creditor may be deterred for even filing the lawsuit. The Act contains certain special asset protection features. Like most LLC jurisdictions, a creditor of a member is permitted to apply for a charging order against a member’s interest. To the extent so charged, the judgment creditor shall only have the rights of an assignee of the member’s interest and shall have no right to partake in the management of the company. The Act further provides that the charging order remedy shall be the sole and exclusive remedy available to a judgment creditor or other creditor of a member. Belize also stipulate in this new company act that it will only recognize processes and judgements delivered in a court in Belize. Meaning, whatever happens back home, your assets are safe in your Belize holding company. The Act provides that only the judgments delivered by a court in Belize shall be enforceable against an LLC or any manager or member thereof. Your filing can be done in less than 24 hours. Your name can be kept off all gov registers if requested. 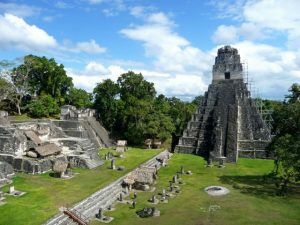 Banking in Belize is easy – an account can be opened with a very small amount. Also, it’s not necessary for you to show up in person. Finally, banks in Belize offer merchant accounts and credit card processing. Open a Belize offshore bank account by filling this form. Belize is the only English Speaking country in America’s south of the United States. The ongoing government fee’s for a Belize LLC or IBC are relatively low. Its very easy to maintain a Belize LLC or IBC, and you don’t have to visit the country for shareholders meetings, have audits on the accounts or maintain a company secretary. Nominee’s Available, Bearer shares available, combinations with trusts are available. You can set up a Belize Offshore Company with Flag Theory, whether you choose the LLC or IBC option, acquiring The Belize Complete Incorporation Package. You might also consider other options such as Hong Kong Company, a Wyoming Company, a Singapore Company or BVI Company Formation. To compare jurisdictions to incorporate a company or open a bank account, it may be useful for our free tools: incorporations.io / bankaccounts.io. If you need personalized advice to know which is the best jurisdiction to set up a company according to your particular circumstances, we can help you, contact us or check our consulting services.